Olympic gold medalist Simone Biles will lead Team USA as the flag bearer in Sunday's closing ceremony of the 2016 Olympic Games in Rio de Janerio, the U.S. Olympic Committee announced today. Biles will be the first female gymnast to lead the U.S. Olympic team into a closing ceremony and to be selected as a flag bearer for either an opening or closing ceremony, the committee said. "It's an incredible honor to be selected as the flag bearer by my Team USA teammates," Biles said in a statement today. "This experience has been the dream of a lifetime for me and my team and I consider it a privilege to represent my country, the United States Olympic Committee and USA Gymnastics by carrying our flag. I also wish to thank the city of Rio de Janeiro, and the entire country of Brazil, for hosting an incredible Games." 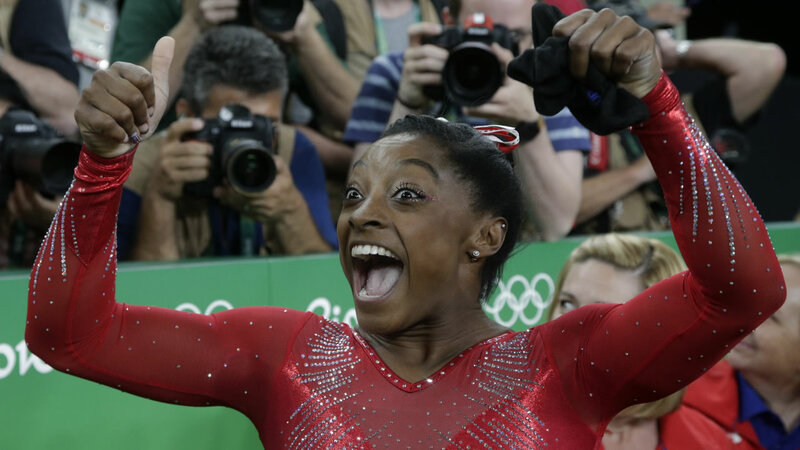 Biles, who made her Olympic debut in Brazil this month, became the first American gymnast to win four gold medals at a single Olympic Games and one of only four women to accomplish the feat in Olympic history. The 19-year-old also earned a bronze medal in the balance beam final.